Sponsored by SIU’s E-Sports student club, the tournament is open to university students, along with community members and other interested gamers. The tournament begins at 11 a.m. at the SIU Student Center Ballroom and continues through the afternoon. The top three winners for the smash competitions will receive cash prizes, while winners for the other two tournaments will receive select merchandise related to the games. 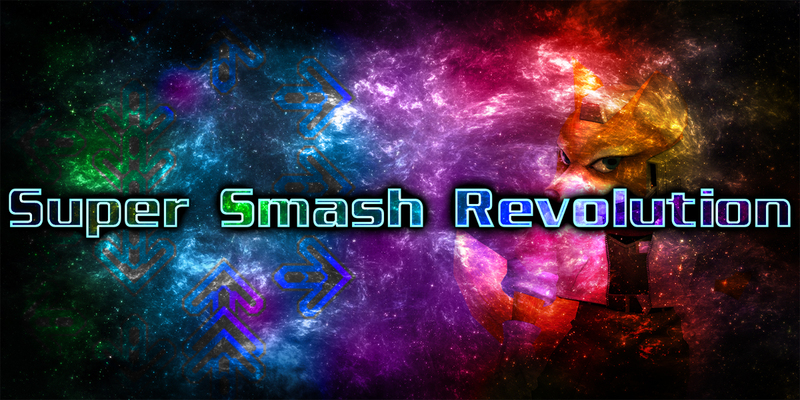 Combining rhythm games with the smash tournaments, the goal is to create an event that fits a variety of interests. The initial venue cost is $5, which includes access to “DanceDance Revolution” and “Guitar Hero III” competitions. Participants can pay an additional $5 to enter the “Super Smash Bros. Ultimate” and “Super Smash Bros. Melee” tournaments. The additional money will go to the winners, with first place receiving 70 percent, second place receiving 20 percent and third place receiving 10 percent. An open arcade will continue throughout the day, even after certain tournaments end. Players can also build amateur brackets to continue the competitions forward. A price reduction is available for participants who bring “Super Smash Bros. Melee” setup (Includes Gamecube/Wii and CRT TV) or a “Super Smash Bros. Ultimate” setup (Switch, DigitalTV/ Monitor, and Gamecube adapter). Interested gamers can register for the event now online, or at the door. Tournament guidelines, schedules and rules are also available online, or by emailing Zachary Vanscoit at Zachary.vanscoit@siu.edu. 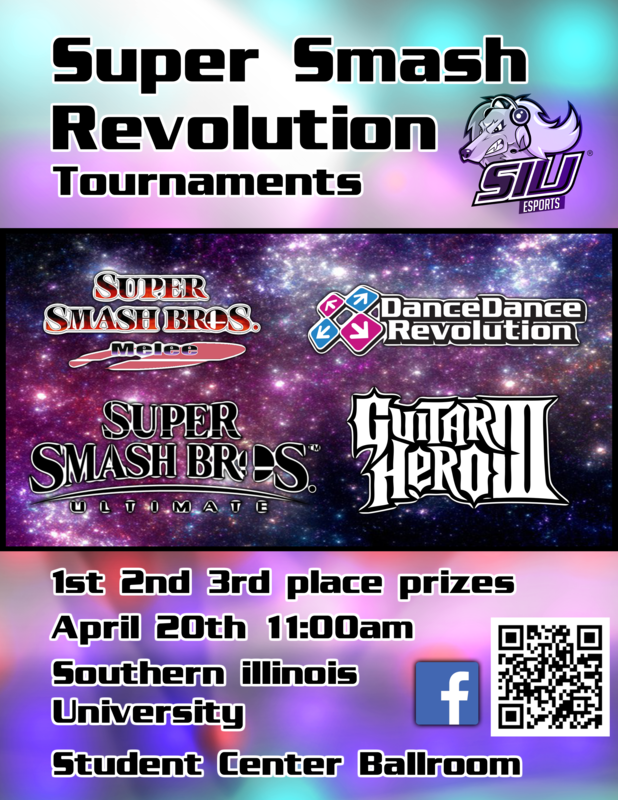 Reporters, photographers and news crews are welcome to cover the 2019 Super Smash Revolution Tournament on April 20 at the SIU Student Center Ballrooms. The tournament begins at 11 a.m., and continues through the afternoon. For more information, contact Zachary Vanscoit at Zachary.vanscoit@siu.edu. As part of SIU’s new E-Sports student club, this tournament is the first of many for the university. For club member and event organizer Zachary Vanscoit of Chicago, the goal is to get more people interested and start to build a connected gaming scene in the local community. “We want to build a community that is focused and passionate about the games we are playing,” Vanscoit said. While there are many smash players, most people still do not know about SIU’s club, member Nathan Diazleal, Franklin Park, Illinois, explained. This tournament is a way to not only have fun and play games, but also build awareness for the group. Gerald Hamlin, club member from Carpentersville, Illinois, sees this event as a great way to bring more focus to gaming in the local area. A new e-sports facility is currently in progress at the SIU Student Center, with the goal of building intramural and intercollegiate competitions. This tournament serves as both a fundraiser for the completion of that space, as well as a launching point for the future. 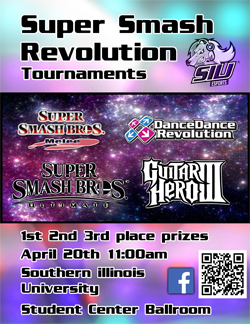 For more information about the Super Smash Revolution tournament or joining the SIUC E-Sports club, contact Zachary Vanscoit at Zachary.vanscoit@siu.edu. Media Contact: Hannah Erickson, public information coordinator, 618/453-2508.